FREE HERSHEY COOKIE LAYER CRUNCH DECEMBER 14TH–17TH!!! 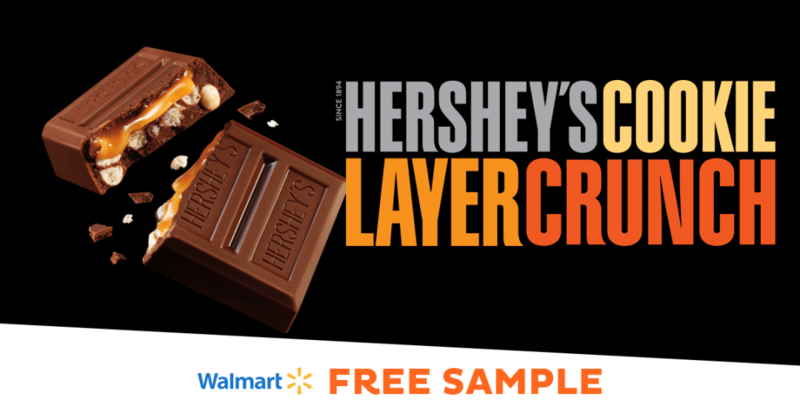 STARTING THURSDAY 12-14-17 THROUGH SUNDAY 12-17-17 WALMART WILL GIVE OUT FREE HERSHEY COOKIE LAYER CRUNCH SAMPLES!!! SEE HERE TO FIND A PARTICIPATING STORE NEAR YOU!!! ← NIVEA BODY WASH!!! GREAT DEAL!! !